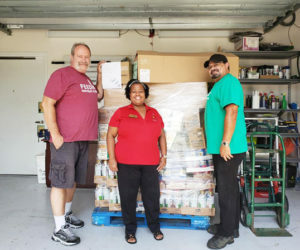 Ronald McDonald House Charities of Jacksonville recently partnered with Feeding Northeast Florida, a hunger relief organization and food bank to combat local hunger needs. 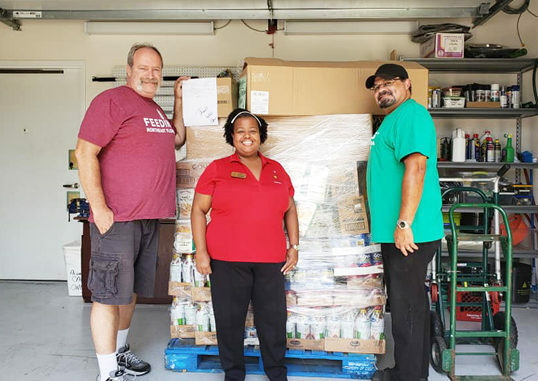 The partnership entails Feeding Northeast Florida providing nutritional food items each week, providing further supports of Ronald McDonald House Charities of Jacksonville’s health and wellness program. Each year, Ronald McDonald House Charities of Jacksonville supports the health and wellbeing of more than 1,000 families of critically ill children seeking care at local medical treatment facilities. Families are provided three nutritious meals, including a home cooked dinner every day of the week. With an estimated 283,000 people in Northeast Florida relying on area food pantries and charitable organizations for food assistance each year, a number that has not changed much since the 2008 recession – FNEFL’s mission is even more critical today. To learn more about Feeding Northeast Florida, visit www.feedingnefl.org. Shown (l-r) Jack Corey (Driver, Feeding Northeast Florida), Vernetta Stewart, (Chef/Kitchen Manager, Ronald McDonald House Charities of Jacksonville) and Rafael Febus (Driver, Feeding Northeast Florida) following the first delivery of the new community partnership.